Google has just launched its long-rumored wireless cellular service that comes up to give a tough competition for AT&T and Verizon communication. Yes! A wireless Service for Cell Phone users. The web Internet giant, Google is now becoming a Mobile Virtual Network Operator (MVNO) by offering its wireless service. 1. 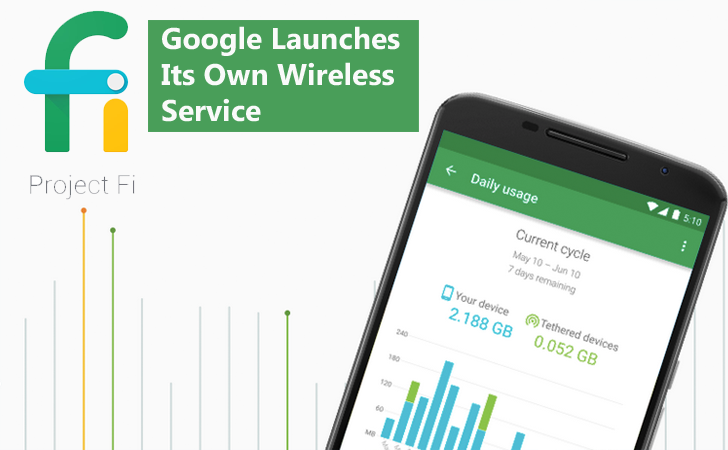 Google’s MVNO service is named "Project Fi"
A new wireless cellular phone service, dubbed Project Fi, could help the web Internet giant gains new heights into the $189 Billion market of mobile industry. 2. The service starts at "$20 per Month." For $20 a month, you will get unlimited calls and texting in your country along with Wireless tethering and International coverage in more than 120 countries. The data pack is for an additional charges of $10 per GB of bandwidth consumed. Therefore, a $20 basic plan plus a $30 3GB plan would cost you a total of $50. International data is at the same price. Check out for more data plans here. The most interesting part of this service is that the company will refund you for data bandwidth you do not use every month on your next bill. So if, for example, you purchase a 3GB data plan for $30 in a given month, and you only consume 1.4GB of data bandwidth. Then the search engine giant will refund you back $16 in your next bill, instead of taking your entire money. Google is not launching Project Fi for everyone right now. So, those who are interested can sign up on the Project Fi website and hope to be the lucky one. Request an invite at https://fi.google.com/. 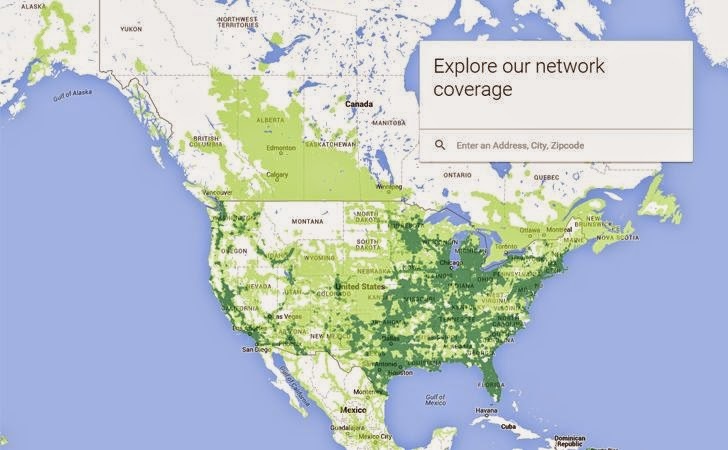 Google is not building its network of cell phone towers for Project Fi. Instead, it is piggybacking on the Sprint and T-Mobile LTE networks, which have agreed to carry the traffic for Google’s new project. Go here to know whether your neighborhood is covered or not. Moreover, the service provides you to switch between cellular and Wi-Fi networks. If, for example, you start a call using Wi-Fi and then move outside, your mobile phone will switch to the regular cellular network without dropping down your call. For now, Project Fi only works on Google's flagship Android phone Nexus 6 with a special SIM card, but hopefully it will soon be available for other handsets. So, in order to use the service right now, you'll have to buy Nexus 6 from Google (for $649) if you do not own one. There are no long-term contracts, something other cell phone carriers are also moving away from. However, if you buy and finance a Nexus 6 phone while signing up for Project Fi and then leave, the money owed on the phone will be due immediately. Yes! Not only on your mobile devices, but also the service works on your computer and tablet. Google Hangouts allow you to place calls, send texts and voicemails from your number to any other Hangout-enabled device, no matter what device you are using.